Ok..so...over the past couple of years I've been fortunate to be able to talk with 100's of Brooks students and many other photo students and most of them are absolutely wonderful, positive and incredibly hard working....I've even had the opportunity to do a couple of workshops up at Brooks and have spoken to a few classes up there about my business but I have begun to notice a trend in some of them and obviously a large enough of them for me to make a point about it here and I'd like your feedback so please let me know if I'm off base or help me understand why this is the case and what we can do to fix it. A troubling amount of photo students that I've come across have been so negative, with nothing positive to say about anything and this really bums me out. They instantly spot what's "wrong" with this photo or that website and they throw this snob attitude that their way is right and everybody else is wrong. It really does bum me out that these people are missing the point and I'd love to help them see how important it is to be able to spot the positive. 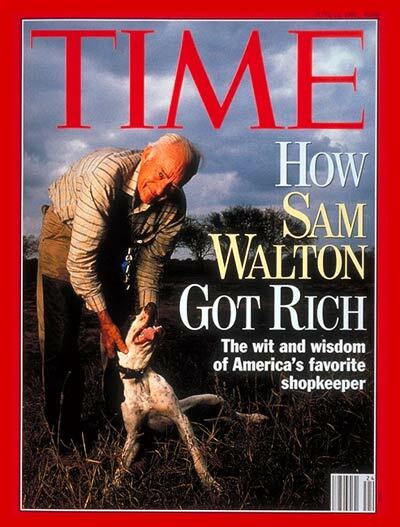 Let me tell you a story about one of the most successful business men ever - Sam Walton. One day he and one of his business partners were walking through a competing store and the store was filthy with empty shelves and junk everywhere and when they got outside Sam asked his partner, "what'd you see?" and his partner immediatly went off about the mess and how poor a job they were doing keeping the shelves stocked and sales updated and then the partner asked Sam the same question and Sam said, "That store had the most amazing perfume rack I have ever seen. When we get back to the office order one of those for all of our stores." 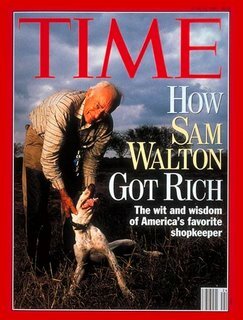 Through the mess and mistakes Sam Walton was able to see the good and take advantage of it and become one of the most succesful business men in the world. Can you do the same? It's easy to spot what's wrong but the real winners are those that can spot what's right and use it to better themselves. This is just a quick thoughts. Maybe if the school was a little more selective in the enrollment they would be able to weed out the bad apples? It's not very hard to get into. But I guess it would be easy to blame the school. Also I think that many of the kids don't know what they want and look at Brooks well it's college I want to have a good time so putting effort in to something like school isn't cool or what they want to be doing so maybe that's were they start to put out bad vibes. I had this convo last night at dinner with another student. And alot of kids don't want to be there but are there becuase they say "well I've spent all this money it would be dumb to drop out now I better stick it out". Which agian the student isn't doing what he or she wants and forms a bad adittude. Lastly I feel like I've been trained to look at my photos and say well it's over exposed here so it's a bad photo. I don't belive that but just ending my first year was very techy and we sat around and talked about the "wrong" stuff in the images, and would only touch on the good things about it. I'm not sure if this anwsers the qustion. David when is the next work shop? I would love to go to it! I hope this post doesn't come off like I'm trying to point my finger at the school and say it's their fault. P.S. - Remember the convo we had on the way to the beach? Wanna start a new school with me? ;) I'm already thinking about teaching at George Fox. I went to Brooks and have to say that all we really thought about was what is wrong with a particular image. Even if a pic was good, it was rarely articulated why that images was successful. 90% of comments from instructors were about something that was technically wrog. I completely agree with you David, there was a very sour attitude and a snobbery that developed among myself and my fellow students. Fortunately (because it isn't just Brooks), this is common in secondary education. I worked in marketing and noticed that students and new graduates are quick to point out technical issues and theories that do not always have any real world application (yes, I too was guilty). I believe this is because professors are constantly telling their classes that their school is the best, their education is superior to other schools and that they will be at the top of the heap as soon as they graduate. Dissapointment will usually set in about 6 months into their first real job, I know it did with me! It has taken me 4 years to realize that I can be sucessful in photography, regardless of who I work for or what subjects I shoot, as long as I am happy with my work. That is certainly not an attitued that either of the universities attended cultivated. Maybe I should write a book: "Post Baccalaureate Stress and Dissapointment Syndrome as caused by the overstroking of Student Ego's." So good to hear from some of you that actually went to Brooks about why this is happening and I'm amazed (but not suprised) that they focus so much on what's "wrong" because it has been proven over and over that people learn 5x faster when they are positively affirmed for what they did right! I think ColinMichael is right on about this happening often in secondary education and it's funny because even Robert Kiyosaki talks about not listening to educated "experts" because all they ever use their expertise for is to find why things won't work. The cool thing is that we all have a choice of whether or not we want to be that way and let me emphasize again that I'm not intending to bash on Brooks in any way - many of wonderful positive friends go there and I know so many awesome teachers up there who are doing a great job. I think the mindset that you're talking about extends well beyond the Brooks photo lab. It's popping up more and more in all fields. My full-time job is in advertising (photography on the side), and I have to say that we see clients everyday who are unwilling to listen to our expertise because they went to a 2-hour course on marketing at the Hyatt. It appears that the attitude problem we see so much of actually started years earlier, so you're only seeing the "developed" stage. By the time they've reached Brooks, the attitude is in full swing and now they're educated at one of the top photography schools in the country. Their training in the technical aspects of photography has created an eye for dissecting images from a different viewpoint than someone looking at an image purely for its artistic impact. There was a recent story in the L.A. Times West Magazine that showed images by schoolchildren that were fantastic! I'm sure a critic could have ripped them up. But what's the point? Enjoy photographs without being so critical. lol... DJ is getting a debate on his blog now!!! I agree with all the formally-photo-schooled-folks: we went thru CONSTANT criticism/critique ...our eyes have been trained to see how to improve something.... I think of it as a way towards progress though, not as gripping. I guess that's where our attitude makes the BIG difference! "If anyone is thinking of going there definitely call me and not Tim:)"
Lets see how long it takes Tim to see that comment:) he he!!!! Negativism is rampant throughout the entire world. It isn't just Brooks or even art school. Having a truly positive attitude is becoming quite rare. I think people put up a hard shell to protect themselves from the world. The sad thing is they miss out on the world at the same time becuase the sheild becomes a prison. I agree with you all! I can see how easy it is to be positive when we are almost 'trained' to be negative by professors/teachers, and the attitude rubbing off from others around us. I really wish that I could go to Brooks, but I have a family now, and I can't possibly go to an out of area school. I have often looked for education in other ways, mostly wanting to learn first hand by assisting other photographers, but I always get the negativity from most, because they look at it as someone 'stealing their ideas' or that they might be helping future competition. Someone once said to me..that "if you are negative, and afraid to help someone else out because of competition, then you must not be confident enough in your own work." I will always remember that, so when it comes time for me to help others out, I can pass it on. So when is the next workshop by David Jay?? I am soooo there! By-the-way...This is why I love the OSP forum. There are so many positive comments, and positive people unlike other forums I have been to. It is really hurtful when people can't see positive over negative. Thanks for posting this D.J. I think Mark does have a point. I went to AIC and they pound into your minds everything technical. I found that it was that way more so in the beginning. Personal creativity and freedom didn't come until I was a upper quarter student. I completely agree with DJ that the positive aspects are a necessity to have in that kind of environment. When I first got into the biz, I worked for someone for two years and heard about everything that I did wrong but rarely heard about what I did right. I still remember when my boss called me to compliment me on a job I did. When I listened to the message I about fell over because I hadn't ever heard positive reinforcement from him. It is funny now because out of all of my time working there that message was what I remembered most. The real question still at large is what can be done to fix that mindset? It's easy to spot what's wrong but the real winners are those that can spot what's right and use it to better themselves. I totally agree with you on this - it seems that most people focus on the negative, but we should all try to focus on the positive and go from there... Thanks for the great forum! And the great products and website!